and in his canoe on the Dordogne river, France. 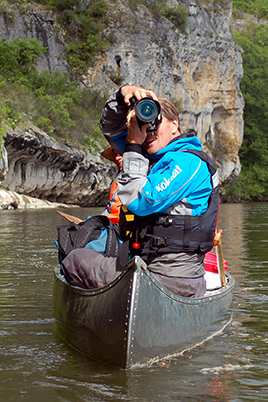 Martin N. Johansen is a danish free-lance photographer, writer, nature guide and adventurer. Passionate about the outdoors since his childhood, Martin took a series of black & white photos of rural landscape in Denmark at age 11, with a Nikon FM, his first SLR camera. He then began to develop pictures in his own darkroom and some years later, he published his first pictures in outdoor magazines in Scandinavia. 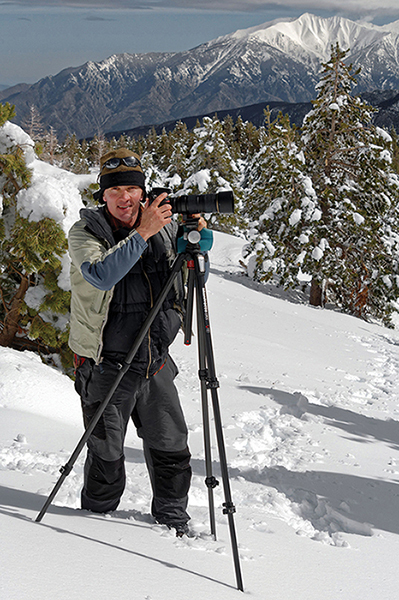 After several years traveling and working in a variety of jobs, Martin chose to devote his life to nature photography, a longtime hobby and passion. Over the years, he has made many trips to the far corners of the world including the southern continent and to the Arctic, on photographic assignments, frequently adding new images to his archive. His work has been displayed in numerous exhibitions in Europe and has been widely published in international magazines. His pictures has also been published in various wall calendars, posters and guide books. He has even picked up a few awards along the way, for his pictures of the wild landscapes. Martin is the founder of the nature photography festival, Grandeur Nature, held every year in Collioure, France. He has published five books of landscape & nature photography and is currently working on another book project, which is set for release in 2019 and chronicles the fantastic landscapes and wildlife found in the North Atlantic region.